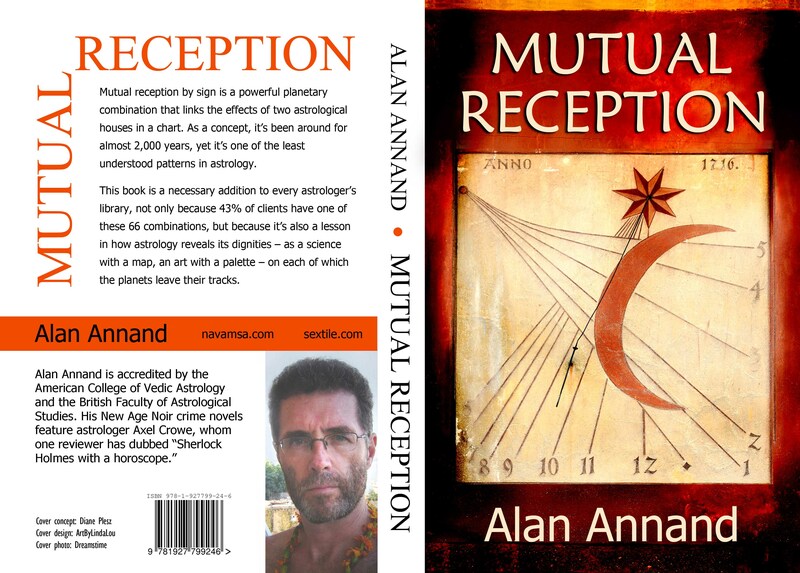 Mutual Reception by Alan Annand, Sextile.com, 2016. Paper 339 pp. Price: $6.99 digital, $19.95 paper. Mutual reception has been around for 2000 years or so, and yet very little has been written about it. Sure, you’ll see mention of the fact that two planets in mutual reception will “help one another out,” but that’s about the extent of what most books tell you. So this book is a welcome addition to our literature. However, before you dash out to buy it, you might want to know how Annand works with them. Specifically, you need to know that he does not include the outer planets. He also uses the sidereal zodiac and a whole sign house system. Aspects are not taken into account in mutual reception. All you need to see is what signs and houses the planets occupy. Now, you can try this in the tropical zodiac, but Annand cautions you that his experience leads him to believe the information here works better when you’re using the sidereal zodiac. I tried the interpretations in both systems and also with traditional and modern rulers. I had hit-and-miss success with the modern rulers and with the tropical zodiac. I had good results using Annand’s system, though I have to say that in many respects I have trouble relating to my sidereal chart as a whole. Whether this is simply my conditioning (I am a tropical astrologer though I have studied sidereal) or because my tropical chart fits better is a moot point and not necessarily relevant to this review. Suffice to say, I got results in both systems, possibly a bit more with the sidereal, though. And I would note that you get different results – and different receptions – in both systems. And what is this information I was playing with? Pages and pages of interpretations for each mutual reception by house [66 in all], along with a case study for each position. Oh, and an opening interpretation from Parashara, just to put things in perspective (Annand is a Vedic astrologer.) And from what I can see, these are very good interpretations, no matter which way you use them. There is also a glossary. Numerous useful tables are scattered throughout. I found these particularly helpful in regard to the jyotish material Annand includes at the end. This, by the way, lists some other types of receptions that are relevant in Vedic astrology. Regardless of what flavor of astrology you practice, this book could be a very good addition to your library. And if, like me, you’re a Western, tropical astrologer, there’s a good chance you’ll pick up some new knowledge even if you aren’t ready to fully embrace sidereal or give up the outer planets as sign rulers just yet. 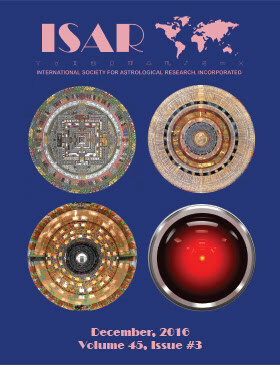 – Reviewed by Donna Van Toen, ISAR Journal, Volume 45, Issue #3.